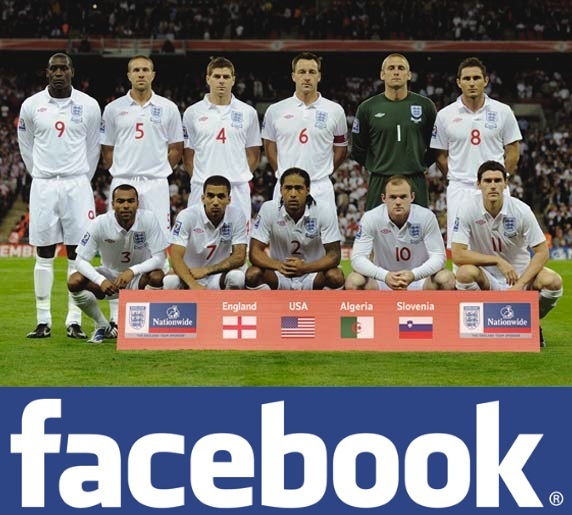 Just a day after Nationwide announced it will no longer be the official sponsor of the England football team, an unlikely candidate has emerged and is currently in talks with the English FA about becoming the new sponsor – Facebook. The social networking behemoth is thought to be among a small number of other companies including Orange, o2 and Santander which are vying for a contract that could cost them upwards of £20 million to secure according to WallBlog. It’s an interesting approach for Facebook, a company that traditionally hasn’t ventured into avenues such as corporate sponsorship, especially after Fabio Capello’s outright ban on players using social networking services prior to the World Cup. Facebook’s founder Mark Zuckerberg could see sponsorship of the England team as a route to take Facebook into the mainstream and associate the service with a very high-profile sporting team, even if the players significantly underperformed at this years World Cup. The deal would see Facebook billboards at matches, its logo affixed to training apparel and would see the Facebook logo displayed at every press conference, interview and England news story, a great way to get your brand noticed. It would also allow fans to use Facebook to share opinions, connect with other fans and maybe even watch the matches via the site. The FA will have to make a decision soon as it will look to secure a new sponsor before England’s next friendly match, a game against Hungary, played at Wembley on August 11th. Reports are unconfirmed at the time of writing, we have reached out to Facebook for comment. Read next: 10 things you need to stop tweeting about!